San Francisco, May 24, 2018 - TrustArc, the leading data privacy management company, will now offer the International Association of Privacy Professionals’ (IAPP) Privacy Core® GDPR Essentials training, an online e-learning solution designed to train employees on privacy fundamentals and to enable companies to meet the GDPR employee training requirement. 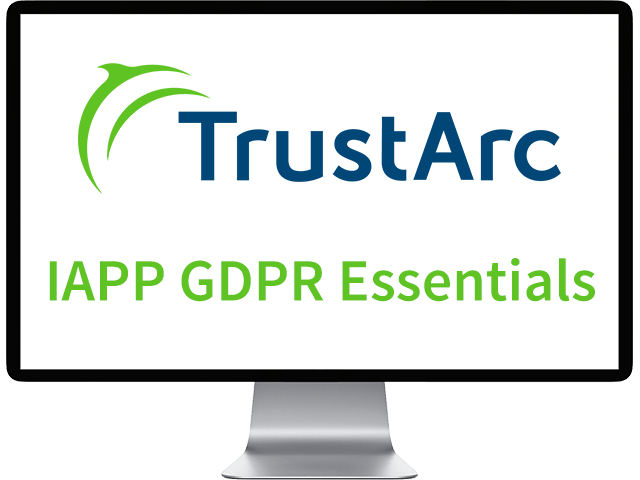 GDPR Essentials includes two units, Data Protection Essentials and GDPR: A Practical Overview, and is the latest extension to the TrustArc Platform, enabling companies to address all phases of GDPR compliance. A recent IAPP and TrustArc survey of hundreds of U.S. and EU privacy professionals showed that the number-one way to mitigate GDPR compliance risk is through privacy training. Developed by experts in privacy and information privacy training, Privacy Core® GDPR Essentials provides an interactive review of key privacy fundamentals and specific GDPR requirements for all employees who handle data. "The demand for privacy awareness is at an all-time high. At the IAPP we’re not only seeing it in our growing number of members but also in the increasing demand for privacy training to meet compliance requirements for regulations such as GDPR," said Trevor Hughes, CEO and president of the IAPP. "TrustArc will extend the resources that we offer through their global channels to reach even more people who are working to meet privacy requirements and GDPR compliance." Delivered through an e-learning system to allow for easy access, efficient administration and ongoing auditing, Privacy Core® GDPR Essentials complements other privacy management capabilities available through the TrustArc Platform. Those capabilities include maintaining data processing inventories, creating data flow maps, completing DPIAs and PIAs, managing cookie consent, and responding to individual rights requests. "TrustArc has worked closely with the IAPP for nearly two decades to support the needs of privacy professionals and other employees who are tasked with integrating privacy processes into their businesses," said Chris Babel, CEO of TrustArc. "By adding GDPR Essentials, we’re expanding our GDPR compliance offering to meet the demands of companies who need efficient ways to manage privacy training throughout their organizations."